 The Field, in conjunction with Swarovski Optik, launches the ultimate test of sporting prowess on the Twelfth: a Macnab. Are you up to the 2017 Macnab Challenge? The Highlands offers the best opportunity to stalk red deer, salmon and grouse in one day. The clarion call has sounded. The 2017 Macnab Challenge is open for the bravest sportsmen and women willing to take on fieldsports’ ultimate test. The Field and Swarovski Optik are tingling with excitement for this year’s adventure. Are you ready to bag a Macnab? Taking membership of the exclusive Macnab Club is no small feat, but many have done it before. 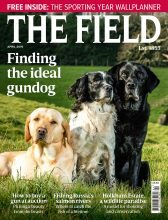 The Field’s website is brimming with advice and ideas, from the best estates to take your Macnab to the kit you mustn’t find yourself without and stories of past successes. And don’t forget to watch the film of last year’s adventure, when The Field took to the Outer Hebrides with a Macnab in mind. Has the cloying ennui of mid summer ever been more apparent than it is this year? A summer of politicking, elections and more party politics than can be decently digested has brought on intellectual exhaustion in many of us. Fortunately, the cure for this enfeebling is at hand. Indeed, we expect more people than ever to rally to John Macnab’s standard and head to the hills come August for a dose of sporting exhilaration that is so much required. The Macnab Challenge is the ultimate fieldsports test, and a sporting adventure you will never forget. To rid oneself entirely of the final vestiges of the political swamp, the tawdry city and fetid heat, a spot of fishing or chasing the odd grouse is not enough. It requires something more vigorous – such as trying for a Macnab, the ultimate sporting adventure and one that’s bound to dispel even a thought of the vagaries of everyday life. The Field’s Macnab Challenge takes as its starting point John Buchan’s well-known story, John Macnab (1925). The premise is simple: Sir Edward Leithen, John Palliser-Yeates and Lord Lamancha are bored with life and issue a challenge to a trio of Highland estates owned by three very different characters: the Rt Hon Lord Claybody (a recent grandee); Mr Bandicott (an American who has taken the house for the fishing); and Colonel Raden (a traditional Scottish landowner). A letter signed by John Macnab duly appears at each estate stating the following: Sir, I have the honour to inform you that I propose to kill a stag [or a salmon as the case may be] on your ground between midnight on – and midnight –. The animal, of course, remains your property and will be duly delivered to you. It is a condition that it must be removed wholly outside your bounds. In the event of the undersigned failing to achieve his purpose, he will pay as forfeit one hundred pounds and if successful fifty pounds to any charity you may appoint. I have the honour to be, your obedient servant, John Macnab. Grouse are perhaps the most delicious bird in our wild larder. The gently comic tale, laced with Buchan’s usual dose of derring-do and adventure, has inspired countless Macnabbers to enter The Field’s Macnab Challenge. Last year, a home team ventured to the Isle of Harris with hopes of completing it. Those hopes were dashed but a short film capturing the attempt can be found on the Macnab website (www.macnabchallenge.co.uk). This year, The Field is delighted to announce a new partnership for the Macnab Challenge. Swarovski Optik is renowned for making best-quality scopes and optics and is a welcome partner for The Field’s Macnab Challenge. Accuracy, dedication and consummate skill are inherent in the Swarovski brand as they are for a successful Macnab. We look forward to putting the scopes and optics to the test on the hill come 12 August. The Macnab Challenge is a sporting endeavour but it also provides the best wild food you will find anywhere in the world. Although most Macnabbers will see their salmon returned to the river, the natural harvest that results from a Macnab is both ethical and sustainable. When there is an opportunity to take a salmon, there is nothing more delicious than smoking it oneself, although the conservation implications of taking the fish must be fully understood by the rod. Catching the salmon can prove the most challenging element. Grouse are part of a beneficial programme of conservation and shooting that supports more than 2,500 jobs and invests an estimated £100 million in conservation. The heather moorland managed for the grouse, of which 75% is found in Britain, is “rarer than rainforest” and BASC confirms that up to five times more threatened wading birds (such as curlews) are supported on moors managed for grouse shooting. The management that goes into the moors that support the red grouse population is immense. The gamey, dense grouse is also sublime to eat. Long held as one of the best and most delicious birds in our wild larder, grouse is now available from game dealers and those supermarkets that understand the importance of the link between what we eat and how it comes to being eaten. Your brace of Macnab grouse will be prized not only for the merit it took to make the bag but their part on the supper menu, too. As for the stag, the popularity of venison over the past few years is a testament to good sense. Low fat and succulent, the meat is at the opposite end of the spectrum to industrial farming and the flaccid, intensively reared meat it can produce. Venison is low fat and succulent. The spoils of a Macnab are just as important as the skill and time invested in the attempt. To take up rod, rifle or gun the sportsman is obligated to remember the link between fun and field and fork. A healthy respect for what we eat is a vital aspect of the sporting world and The Field’s Macnab Challenge – the grouse, the stag and the salmon – are at the heart of it. In 1892, Daniel Swarovski, a young, Bohemian glass-grinder, invented a machine to cut crystal jewellery stones industrially to an unsurpassable level of perfection and precision. In 1895, he settled with his family in the Tyrol. Wilhelm, Daniel Swarovski’s son, was a keen amateur astronomer and binoculars and telescopes were his passion. In 1935, he experimented with a new method of cutting, grinding and polishing optical glass, resulting in a 6 x 30 binocular. In 1949, Wilhelm Swarovski established the Swarovski Optik factory in the picturesque village of Absam, where commercial production commenced; it has continued on the same site through to the present day. In 1999, the company celebrated its 50th anniversary with the launch of the EL, which was to revolutionise the binocular market with its innovative design. The EL binocular became the most sought after at the time. From the first traditional 7 x 42 porro-prism binocular to the new dS – the smart riflescope – Swarovski Optik is continually pushing the boundaries with innovative binoculars, riflescopes and telescopes manufactured using the latest cutting-edge technology, establishing itself as a market leader. Since 1895, the Swarovski Corporation has grown over four generations and is today still proud to be a family-run company. The principle of founder Daniel Swarovski was: “Constantly improving what is good.” This is as true today as it was then, as we continually strive for perfection. Today, the company is led by chief executive officer Carina Schiestl Swarovski, who is the granddaughter of the founder, Wilhelm Swarovski. In addition to John Buchan’s challenge, here are some with a regional flavour. Will you become a member of the exclusive Macnab Club this season? A salmon on the fly, a stag and a brace of grouse. A salmon on the fly and a stag, as the trio did in John Buchan’s John Macnab. They must be “poached” in a legal sporting manner from a pre-warned owner who accepts the challenge. A couple of snipe, a sea-trout and a roe buck. A foreshore goose, a pike and a fallow buck. A moose, a capercaillie and a trout on the fly. A golden dorado, 100 brace of doves and a wild pig. This is the northern Argentinian Macnab. A brace of sandgrouse, a Cape buffalo and a tigerfish. Riding to foxhounds, the harriers and staghounds. Riding to hounds in the morning, shooting a brace of partridges in the afternoon, and then catching a trout on the fly. A brace of wild greys, a fallow buck and a bass on the fly. Note: all Macnabs must be completed within one day.